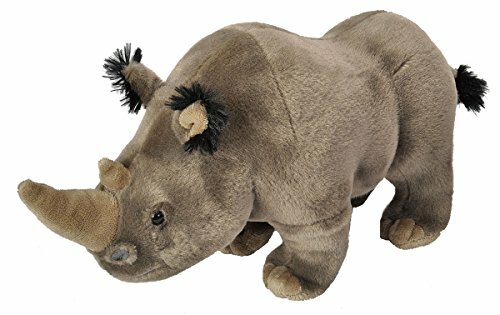 The White Rhinoceros is quite impressive in size. 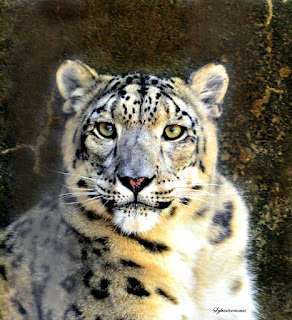 They are the second largest land mammal and are surprising non-aggressive. Their size is only exceeded by the elephant. Ironically, they are grazers and eat primarily short grasses and leaves. 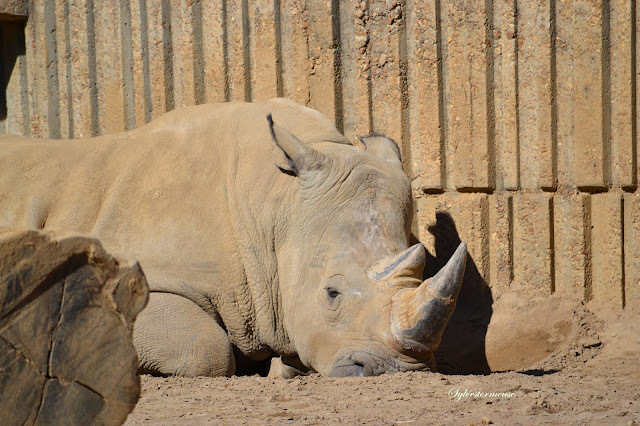 In the late 19th century, Southern White Rhinos were thought to be extinct. However, a small herd was found in 1895 and they have been protected ever since. 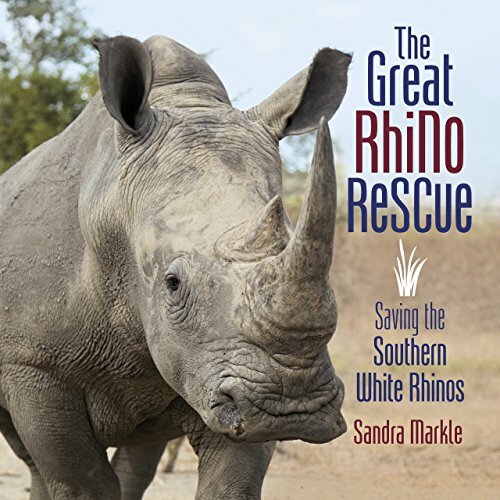 Statistics now indicate that there are over 20,000 living Southern White Rhinos and they are the only rhinos that are not endangered at this time. Unfortunately, that makes them a target for poachers and the illegal trade of their horns, which are consumed by the wealthy as a symbol of their elite status. 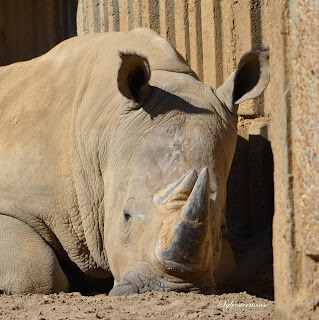 I couldn't help but think what a gentle giant this sweet Southern White Rhino was when I was photographing her. She has such a serene look on her face. She might not normally be the kind of animal that we would find endearing, but this one was. I only had to stop long enough to really look and pay attention to her. Oh, and if you look closely at the introduction picture, you can see the hair fringing her ears. 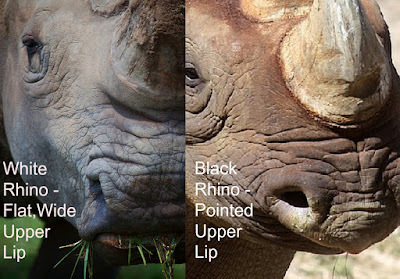 If you are wondering how you can tell the difference between a Southern White Rhino and other rhinos, you would need to look closely at their mouth. The Southern White Rhino (image on the left) has a square muzzle instead of the pointed upper lip of the black rhino (image on the right). Once listed as "vulnerable" due to over-hunting and habitat loss, the Bontebok Antelope is now listed among the "least concern". In large part, that is due to a farmer, Alexander van der Bijl, who gave it sanctuary when it was near extinction back in 1864. 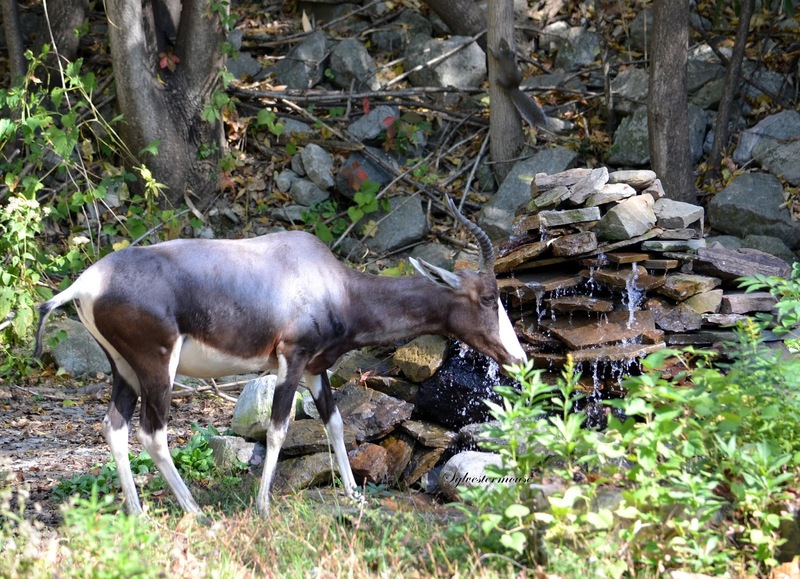 While it still has a small range area to live, the Bontebok Antelope does seem to be thriving now. This truly is an excellent example of what one concerned individual can do that makes a huge difference for endangered animals. 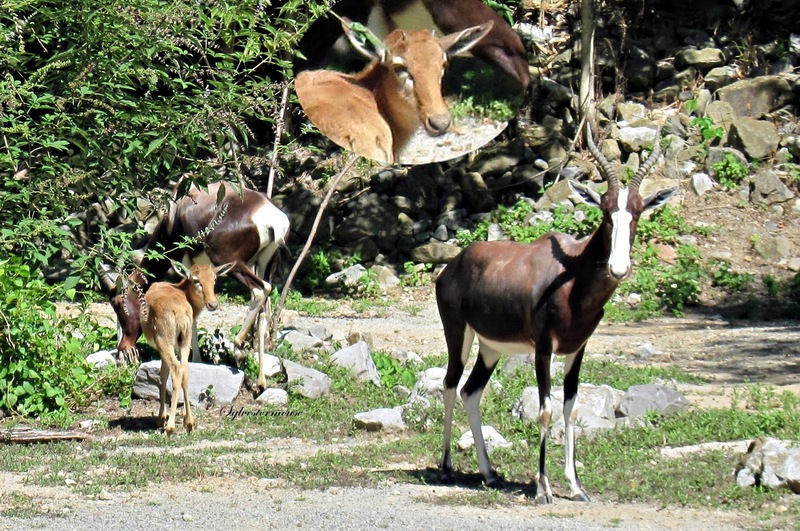 As a note of interest, there were only 17 remaining Bontebok Antelopes when the farmer provided a sanctuary and saved the species from extinction. In the 1930's, a national park was declared solely to conserve them. The Bontebok Antelope can be easily identified by the pure white patch on his rump that other similar looking antelopes do not have. 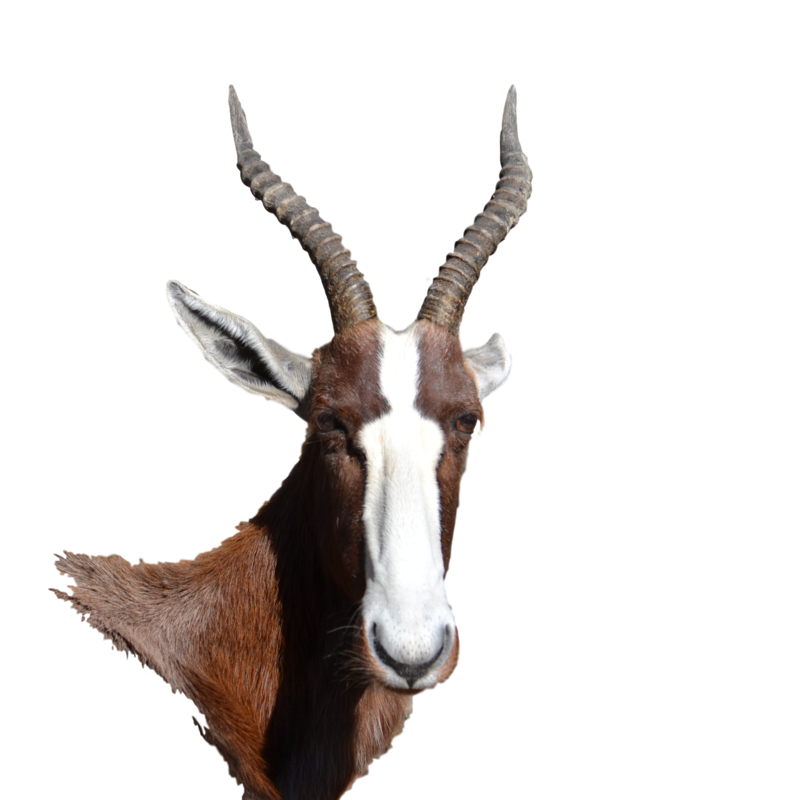 The Afrikaans word "bontebok" literally translated, means patchwork buck. I find it very interesting that baby Bontebok are light brown (see the photo below). You can barely see the white patches. What you would call this wild cat depends on where you live. Whether you call him a cougar, puma, mountain lion or something else, he is still a very powerful, stealthy cat. 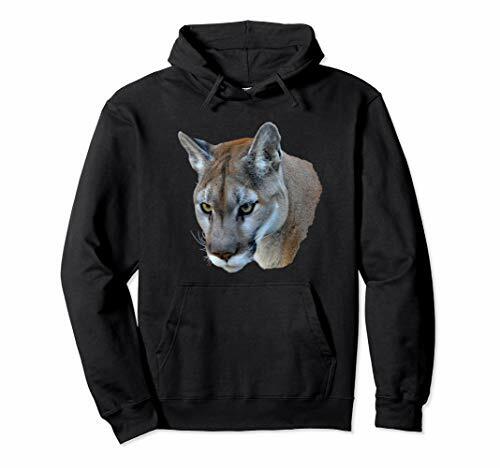 Cougars are well known for ambushing prey from high vantage points. A cougar can leap over 16 feet, therefore they have a decided advantage over animals that may appear to be bigger than them. 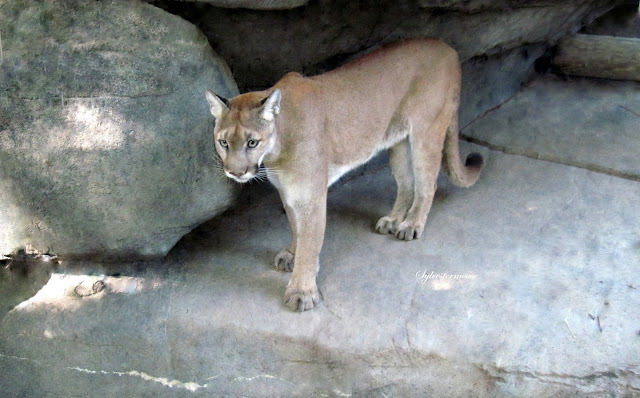 At night, cougars seek their own shelter of rest in caves or dense thickets. 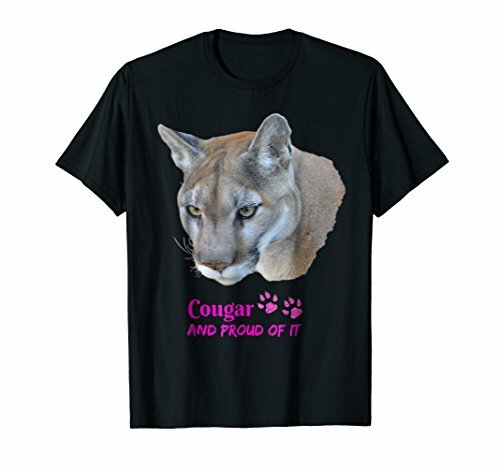 You may well consider the cougar to be a beautiful cat, but he is definitely not an animal that should be underestimated. 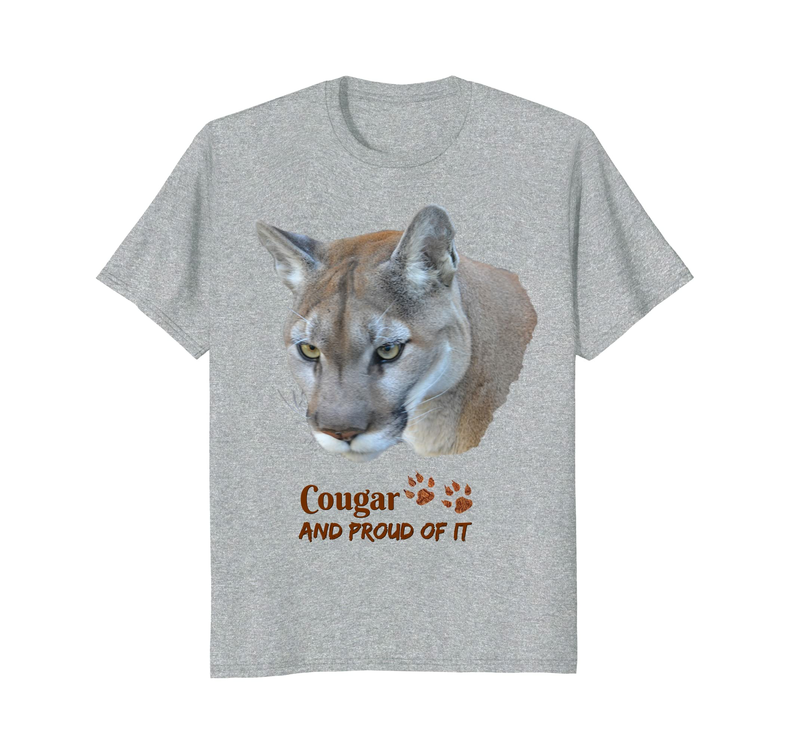 It is best to admire or observe a cougar from a great distance, and preferably though a long range camera lens like the one I used to capture the images in this article. There are less than 30 reported human deaths that can be attributed to cougar attacks in the last century. 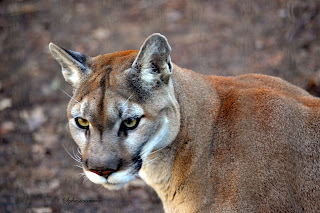 Since cougars have the most widespread distribution of any American cat species, it is best to know the wildlife inhabitants of any area before you hike or bike. 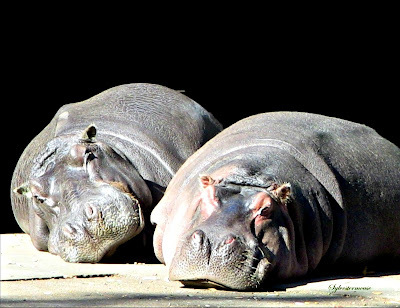 I caught this couple of hippos lazing around basking in the sun one cool March afternoon. Normally, they prefer to stay in the water. I admit, I am fascinated by the hippopotamus. Such a large creature supported on tiny, short legs. 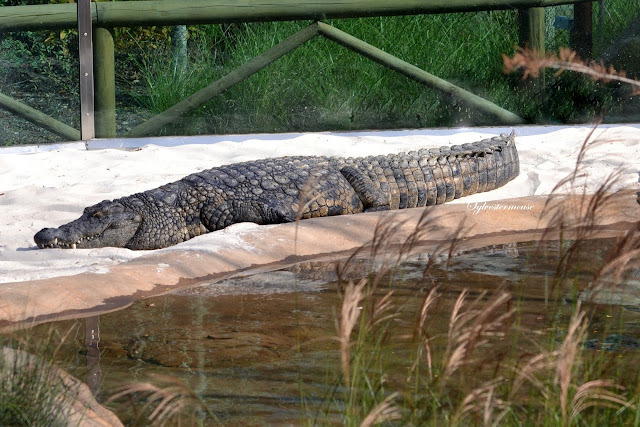 Plus, they only eat grass and plant food, yet they are enormous in size. Because a hippo can stay underwater for up to 30 minutes, you might not even realize one is beneath the surface of the water. 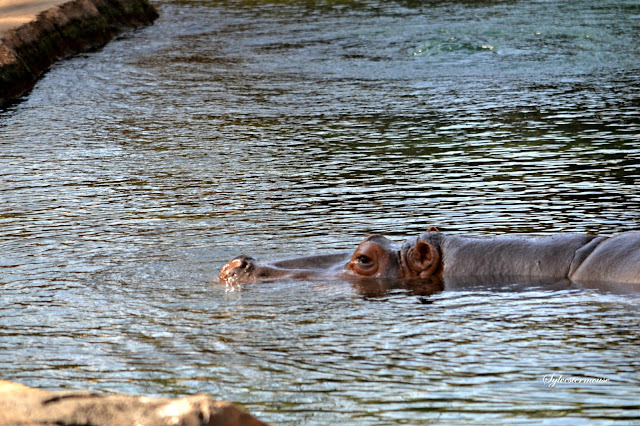 Most often we see the hippopotamus peeking just above the surface of the water, like the one shown below. It might appear to be a sinister act, but in fact that is simply their way of staying cool. 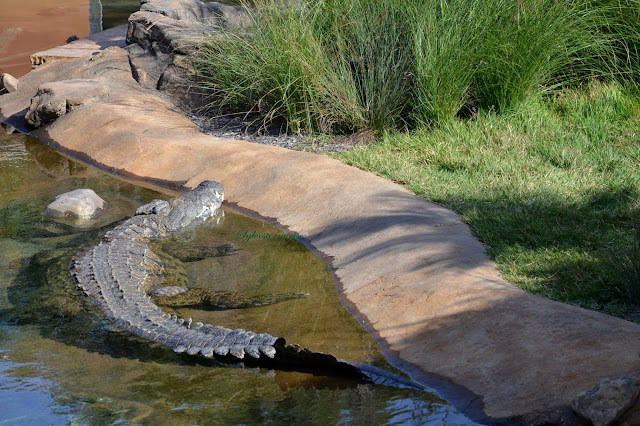 The water also allows them to take the weight off of their little legs. Like many wild animals, hippopotamus are territorial. The males will defend their area from other males. This is a natural survival instinct for the hippo. 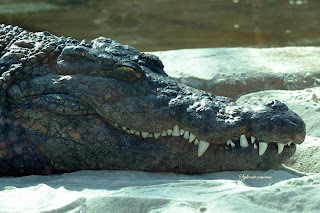 Because they claim territories along river banks near reeds or grasslands, their territory is also their source of food. Also like many wild animals, the female hippo is extremely protective of her babies. She will attack anything that gets near them. 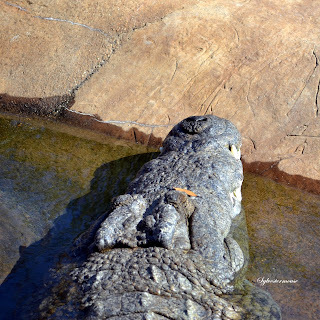 Because of their territorial, defensive traits, coupled with their size, some consider hippos to be among the most dangerous of all African mammals. They have no desire to eat meat, but they will bite intruders to death. Hippos are not going to be hunting you, so it really is best to just leave them alone. My photos may be clear and appear up close, but I use a long range camera lens to photograph hippos and other dangerous creatures. The coloring on animals is always so fascinating! 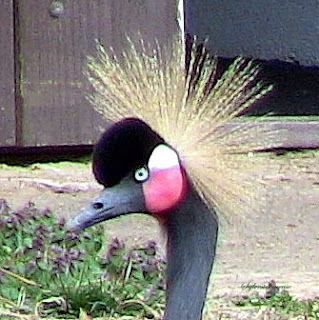 Take a close look at the face on this West African Crowned Crane. The pinkest red patch on his face is the perfect accent to set off his lovely eyes. His head is topped with a golden crown of feathers. The golden crown is even more stunning when you see the lush grey feathers covering his body. Such perfection looks painted, yet this photo is untouched. 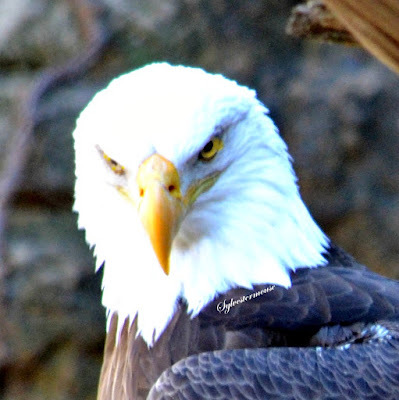 The stand of the crown, the color of the eyes and the lay of his feathers are exactly as God created him. Like all cranes, the West African Crowned Crane has the long slender neck that makes them so easy to classify as cranes. However, he stands apart from other cranes in one very distinct way. 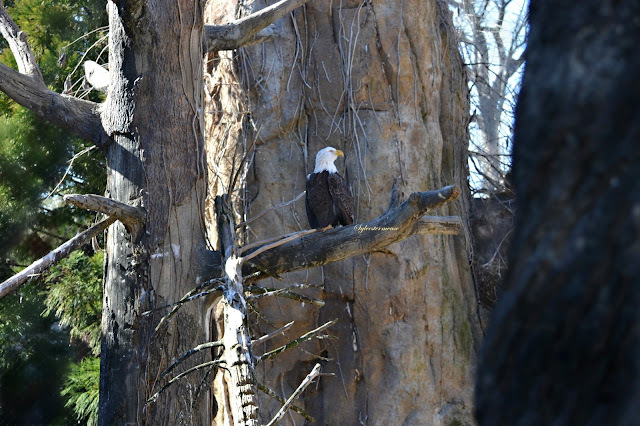 He is the only crane can roost in trees. 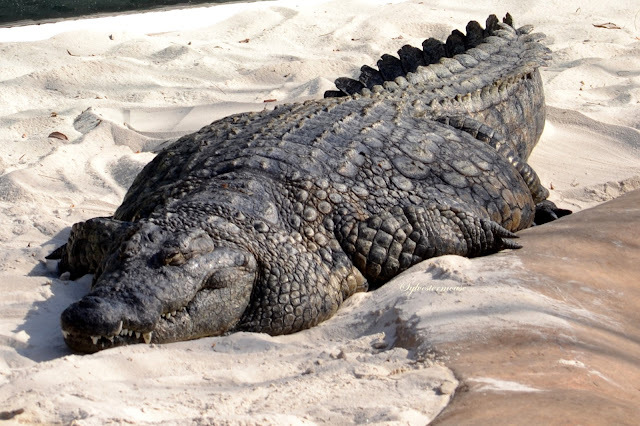 Region: West Africa - Specifically in the marshy areas. Along the shores of lakes & ponds. 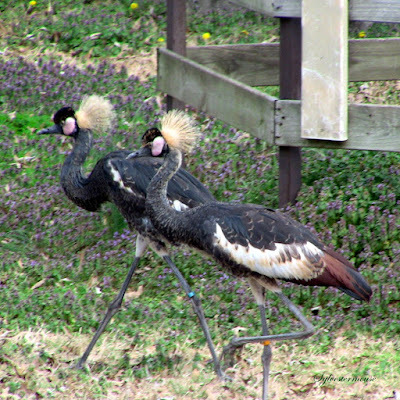 Like so many animals today, the West African Crowned Crane is on the endangered species list. 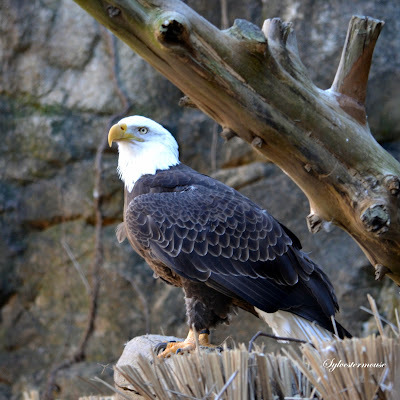 In addition to the natural threats of predators like snakes and birds of prey, the encroachment of humans into their habitat and pollution of their water has played a large part in their decreased population. 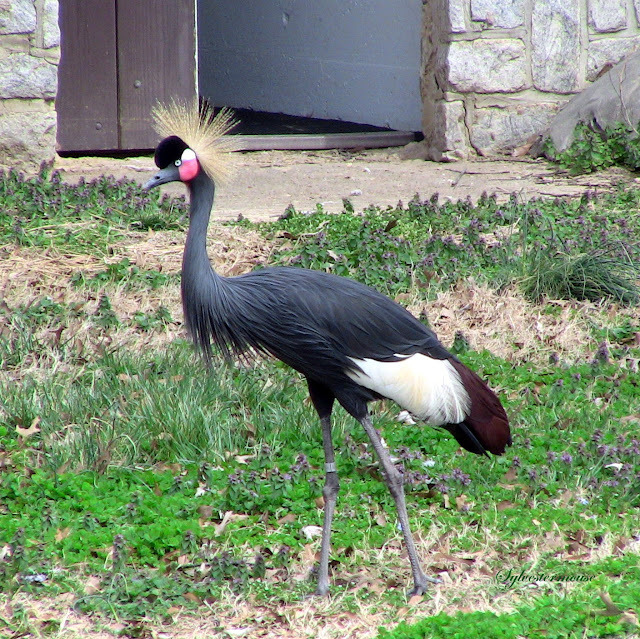 Sadly for the Black-crowned crane, they are at even greater risk because they are captured and sold to bird collectors. The Okapi is an animal you might easily walk past without giving him much thought. They are quiet and sedate. Frankly, the coloring doesn't make them stand out either. 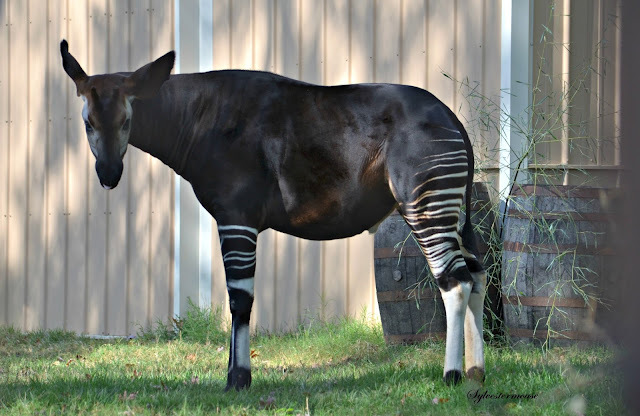 However, next time you are at a zoo, stop and consider the Okapi. He is a very unique creature. 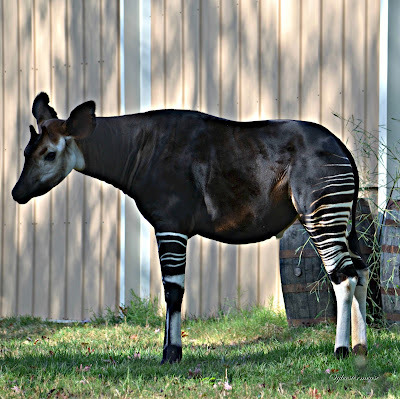 The Okapi is related to the giraffe, but has stripes like a zebra. They are also closer in size to the zebra, but they share other unique characteristics with the giraffe. You will want to make sure you visit the Okapi soon. Sadly, the Okapi are very rare and are endangered. They can only be found in the wild in the Democratic Republic of the Congo in Central Africa. 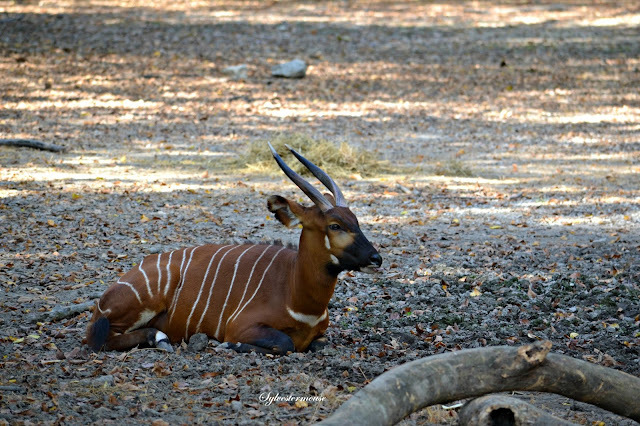 Therefore, your very best chance to see an Okapi, is at a zoo. 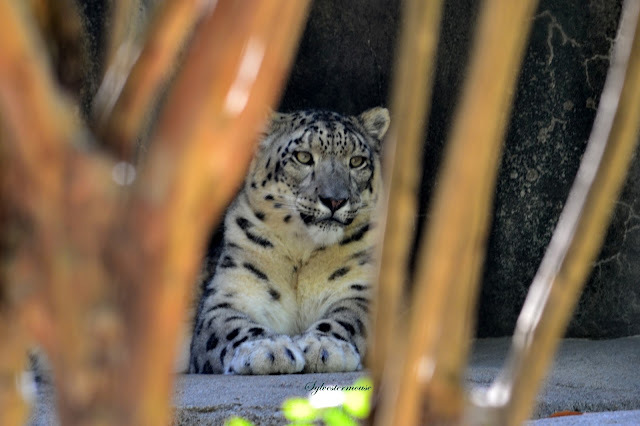 Even then, not every zoo has them. Giraffes and Okapis are the only animals that have ossicones. At first glance, you would think the Okapi has horns. He does not. 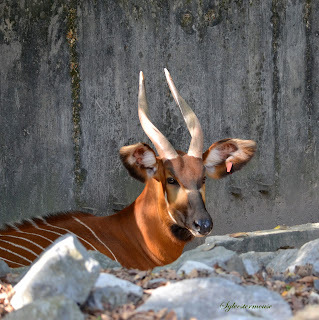 Male Okapi have ossicones on their heads. When you visit the Okapi, be sure to take a really close look at his head. 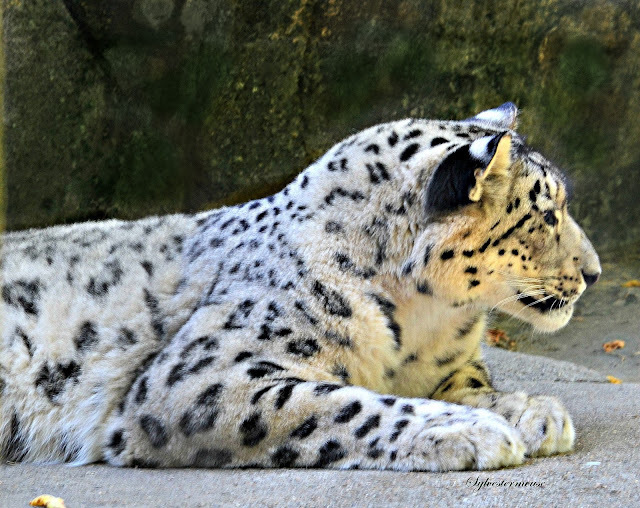 You will notice that the ossicones are covered with skin and fur. That is completely different from horns, which are bare bone. What will not be as obvious in observation, is that the ossicone is made of flexible cartilage, not hard bone. This characteristic alone makes the Okapi quite unique. Weighs 400 - 750 lbs. Most likely due to their natural seclusion and avoidance of danger, the Okapi were not known to science until 1900. It is estimated that there are 10,000 - 20,000 Okapi worldwide. As with so many other beautiful creatures, the Okapi is now on the endangered list due to being hunted for their meat and skins.